Radison Allison Davies is a celestial Messenger. Transformed into a twelve-year old orphan boy ("RAD"), he is on a Mission to seek his Earthly half-brother and deliver him an important message. Arriving on Earth, he's unable to find him, for the place is now under siege by the forces of Evil. 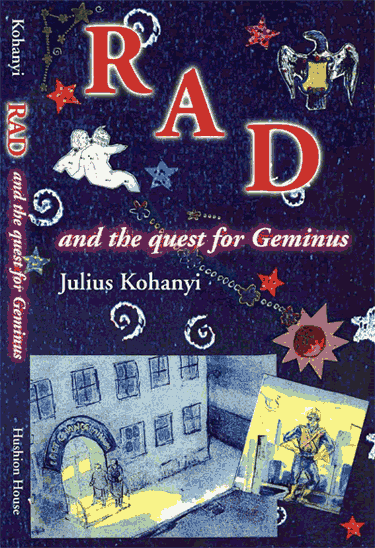 However, the clever Messenger with the golden vest is not done yet, he enlists the help of two jovial Friars and a mysterious Diva, and embarks on a journey across the Continent full of challenges and fun... Will RAD bring closure to his quest for Geminus? Will Evil be pushed back? ... in this inventive and darkly humorous tale of love and renewal. 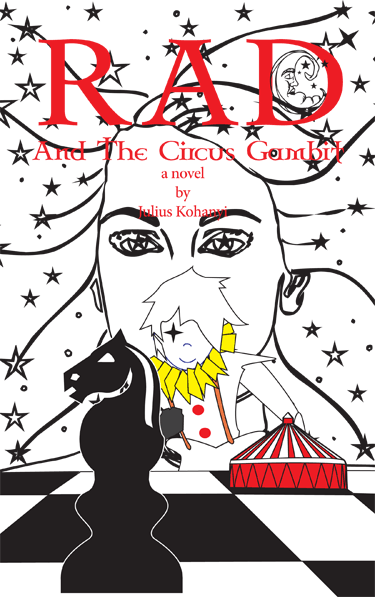 Book Two: "RAD and the Circus Gambit"
After trading places with his earthly half-brother, Gemini, the celestial Messenger �RAD� reunites with his �doubles� DJ, JP, and a golden-voiced Diva, to fight the "Evil One". In his new human form, RAD takes on a Mission to bring back Gemini�s sister from the Balkans, tries to unseat a dangerous dictator who enslaves orphans as child soldiers in the diamond fields of Africa, and searches for the ancient laws of chess to prepare for a rematch with the Evil One to decide the fate of the "Circus" and the World.